In 1959, ÖLFLEX® was the very first control cable to be designed with colour-coded wires and was at the same time the first branded cable in the world. 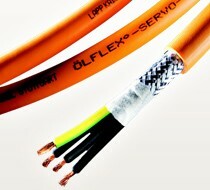 Today, ÖLFLEX® connecting and control cables are some of the most widely used in the world, and for good reason. • Flexible, almost entirely oil-resistant and universally applicable. • Fulfils the most demanding requirements for electrical and mechanical properties. • Comprehensive range for all environmental conditions, including wet/dry, EMC, outside/inside, various temperature ranges, etc. • Mechanical, tool, system and apparatus engineering. • Measurement, control, heating and climate technology. • Wind-powered and photovoltaic plants. • Public buildings, airports and stations. • Medical technology, the chemical industry, composting plants and sewage works. • The food and drinks industry. • Construction machinery, vehicles and agricultural equipment. • Mobile electrical equipment (electrical instruments, power tools, household goods).